Like so many marriages, many Wisconsin corporations are often formed in haste by idealistic optimists. They proceed with the corporate charter, the corporate bylaws, the initial election of corporate officers, the securing of appropriate facilities, and the like. What could ever go wrong? One of the founding members of the company could become ill, or even die. Personal goals can change. Close friends sometimes don’t work out as working partners. The initial investors can become embroiled in litigation. The list of possible problems is endless. While buyout agreements cannot solve every potential problem, they can help corporate founders and other shareholders deal with circumstances that require a reshuffling of ownership. 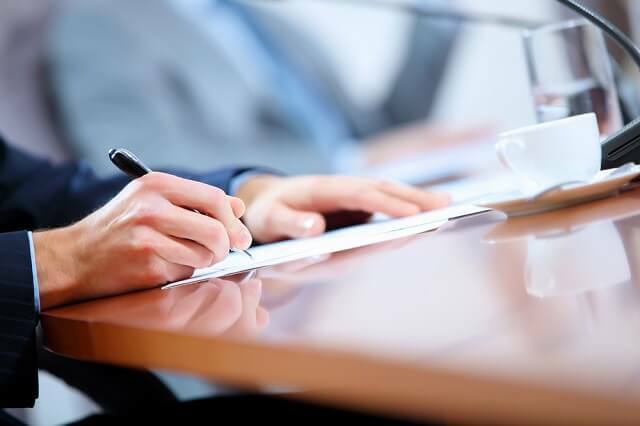 With a properly prepared shareholder buyout agreement in place, the owners of the corporation can be prepared for contingencies, such as a divorce or the bankruptcy of one of the founders. At the outset, it should be noted that shareholder buyout agreements are not typically concerned with the purchase and sale of companies themselves. Rather, these agreements control the “when” and the “how” of sales of the company’s existing shares of stock. They are also most common in small, closely held corporations. What other events, such as the death, divorce or bankruptcy of a shareholder, trigger an obligation to sell and purchase the affected shares of corporate stock. Under Wisconsin corporate law (and the corporate law of virtually all other states), shareholders are entitled to relevant information about the corporation’s operations. Generally, they are also entitled to vote on important matters related to the corporation’s operations. If, for example, one of the founding investors decides to leave the company and start a competitor, that competitor would be entitled to an “inside look” at the original company’s operations and performance. Unfortunately, the reverse would not be the case. The original company would be at a steep competitive disadvantage. Depending upon the makeup of the corporation’s board of directors, a shareholder may be entitled to a seat at that board. If the shareholder dies, his or her shares of stock pass through that shareholder’s estate. Are you comfortable with offering a seat to the shareholder’s surviving spouse or child? Shareholder buyout agreements can smooth the transition in such difficult times. As corporate officers and shareholders age, they may want to reduce their association with the company. Or, they may want to pass the torch on to the next generation in their family. Buyout agreements specify when and how these transitions can take place. Properly drafted, they can save money and friendships. If you are contemplating the formation of a new corporation, you owe it to yourself to consider including a specially crafted shareholder buyout agreement for the investors. If you already are involved in a small corporation, but have not utilized a shareholder buyout agreement to handle necessary contingencies, you should consider retaining the services of experienced legal counsel, like the Milwaukee based Kerkman Wagner & Dunn For assistance in assessing any of your company’s special needs, particularly if those needs involve litigation, call 414–278–7000, or complete the contact form on our firm’s web site. The initial consult is free of charge.